Oriental has got cats’ furniture. 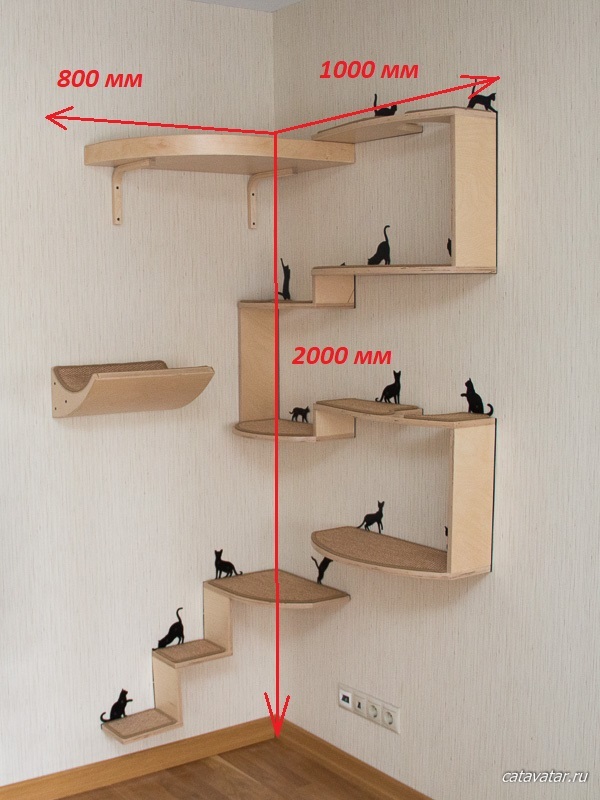 This complex for cats is located in the corner of the room where it looks very organic. In the composition of all that may be interested in the cat. Transitions and overlaps in different directions, curved shelf and nest at the top. From the post with the rope refused deliberately, because It didn’t fit into this particular interior. The complex does not take up much space in the room, but at the same time it significantly expands the living space of the cat.